This rectangular mirror with an arched top is installed with brackets that add depth to the piece when installed. 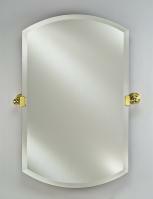 The brackets are available in a wide variety of finishes to go with any decor. 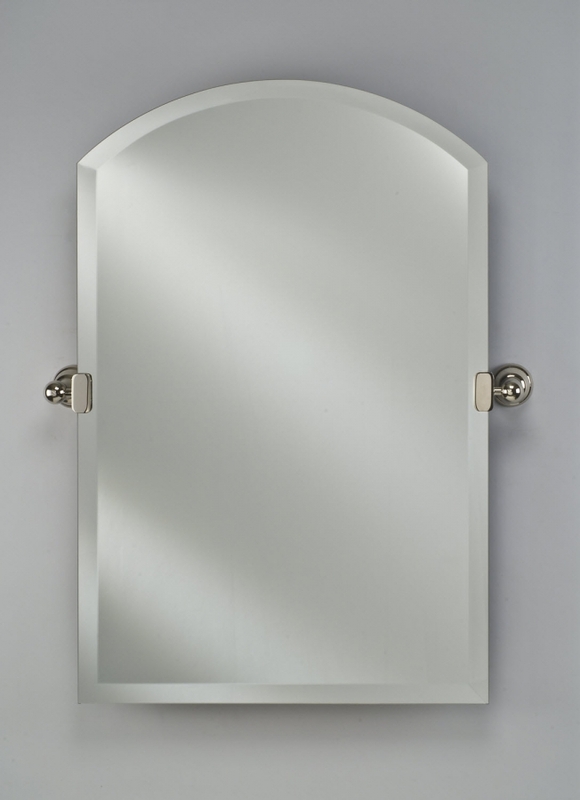 The beveled edge of the mirror enhances the reflective surface. Three different sizes to choose from offer great space for personal viewing.